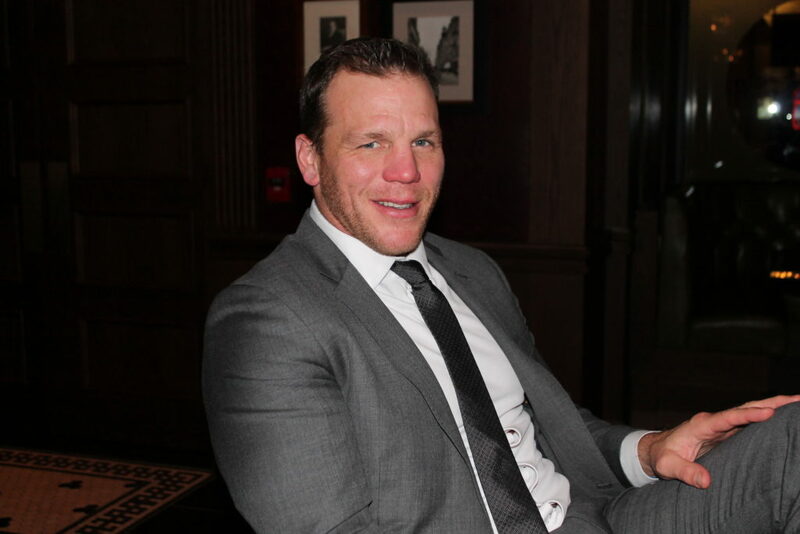 Shawn Thornton sits in a steakhouse at Springfield’s MGM casino, sips on a glass of red wine alongside his friend and head of his foundation, Tom Timlin, and forthrightly assesses his playing career. He peeks up at the restaurant’s TV, glancing at highlights from the 2019 NHL All-Star Game and laughs at the prospect of him participating in a shootout. Teetering on a line of humility and self deprecation, Thornton ponders on his career earnestly without taking himself too seriously. 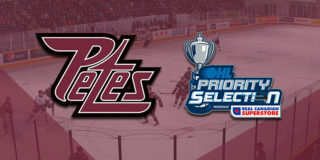 The retired enforcer was selected by the AHL, in addition to fellow Petes alumnus Rob Murray, to serve as an honourary captain at the 2019 AHL All-Star Game. 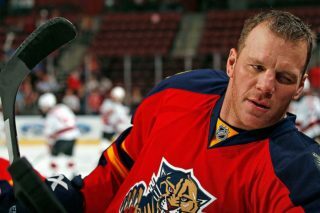 The role was a perfect fit for Thornton: a New England favourite since his time with Boston, and one of only four players to play at least 600 games in the AHL and 700 in the NHL. 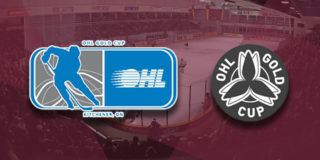 Throughout the weekend the Petes alumnus is consistently stopped by fans walking to and at the events with requests for autographs, photos, and chats, making time for everyone who approaches him. At six feet, Thornton isn’t particularly tall for the leagues he played in. However, his ‘rugby-esque’ stature, in combination with his facial scars, makes the Oshawa native easily recognizable and his gracious presence unforgettable to fans. Before a long term career in professional hockey, Thornton dressed for the maroon and white from 1995-97. 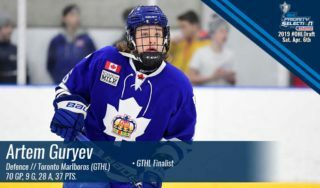 He compliments the goaltending of Zac Bierk, the team’s on-ice systems, and the closeness of the group as reasons for their statistical success. 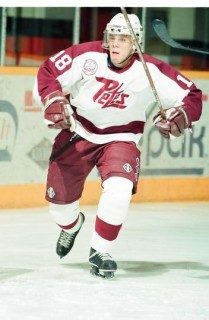 Of his former teammates Shawn remains close with Petes left winger Dave Duerden, talking to him once a month and crashing on his basement couch when he comes home. 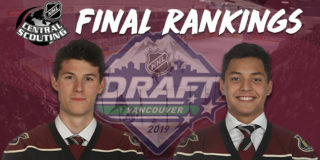 Jeff went on to add Thornton to his draft list and took him in the ninth round of the OHL Priority Selection, a risk that saw its immediate return. Directly shaping Shawn on the ice were coaches Brian Drumm and Dave McQueen. 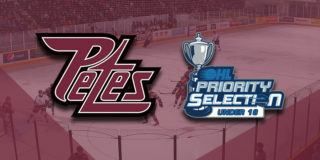 While with the Petes Thornton was drafted 190th overall in the 1997 NHL Entry Draft by the Toronto Maple Leafs. He would go on to spend ten years in the AHL, playing with the St. John’s Maple Leafs, Norfolk Admirals, and Portland Pirates. He cracked a permanent position on the Anaheim Ducks roster in their 2006-2007 season alongside Petes alumnus Chris Pronger and won a Stanley Cup. In July 2007 Thornton signed a three year contract with the Boston Bruins that would see a four year extension and the attainment of his second Stanley Cup in 2011 – a championship that was largely attributed to his surge in energy. Shawn wrapped up his playing career after three seasons with the Florida Panthers, switching departments and stepping into the role of Vice President of Business Operations. Although his most devout fan base remains in Boston, the enforcer’s collection of enthusiasts exists across the hockey community. He follows up stating, “I wasn’t afraid to get punched in the face for my teammates,” a characteristic that makes any athlete well-liked among their colleagues, although drawing intense repercussions as well. It’s a job I signed up for and I’m quite comfortable doing, but there are some tough moments. You miss some naps, you miss some nights sleep knowing you have to do it [fighting] the next day. The thought of the unknown is probably the worst thing. I made a great living doing it so I’m not going to complain about it, but there were definitely some sleepless nights not knowing who was going to punch me in the face the next day. Thornton admits physically meeting his match against Derek Boogaard and John Scott, largely because of their upper hand in size and reach. Additionally, he cites teammates Patrice Bergeron and Brad Marchand as some of his toughest competitors. Atop two Stanley Cups and walking behind flag bearer Bobby Orr into the Fenway Park Winter Classic, Shawn’s proudest moments lay in his presentation of resiliency and work in his teams’ communities. “Being able to start my own foundation and to use my platform to be a player that could give back, I take a lot of pride in it,” describes Thornton. Since stepping off the ice Shawn hasn’t left the rink. He currently oversees the Florida Panthers’ marketing, PR, game presentation, foundation, community relations, and broadcasting teams, a role he was eager to step into since his time with the Bruins. In the pursuit of crushing more naysayers and those who associate fighters with neanderthals, Shawn pulls on his web of connections to help overcome challenges in his new position. Thornton certainly doesn’t mind playing the long game in pursuit of his goals. Shawn’s determination in proving people wrong has laid the foundation for his success, and hi lighthearted, humble nature has made him someone the public admires and desires to know.